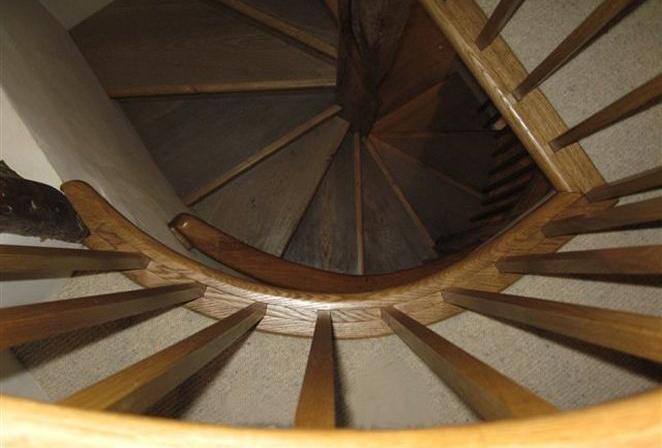 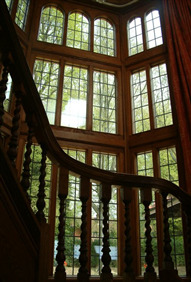 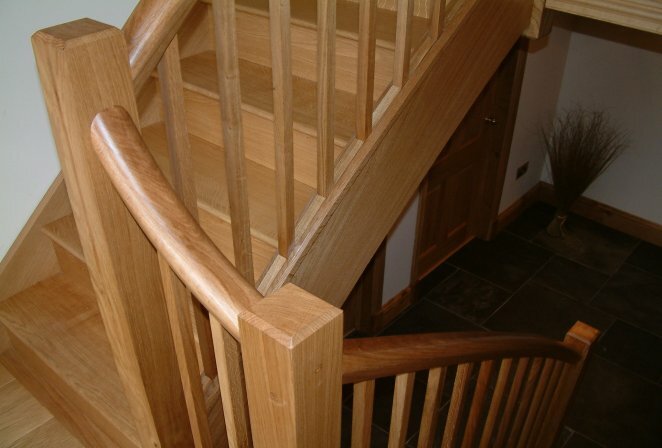 Each of our oak staircases is entirely unique! We offer a completely bespoke staircase design service, which means that every staircase is created from scratch and tailored specifically to your needs. 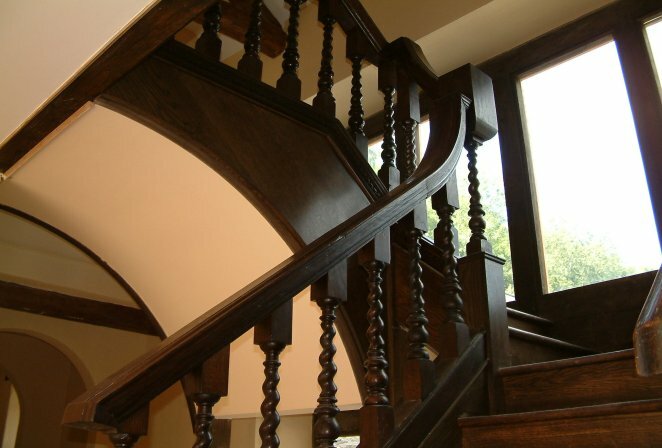 We have a knack for addressing both the practical requirements of the location and the customer’s desire for a stunning, beautifully constructed piece of furniture. 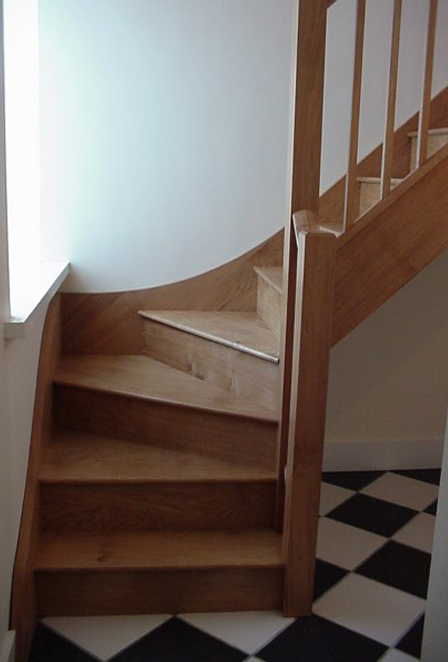 Style is determined by your taste and preference, and your staircase design can be contemporary or traditional, classic or avant-garde. 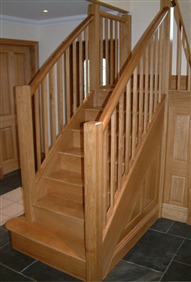 All of our staircases are handcrafted to the highest standards in our workshops in Wales. As Oak specialists we typically use French Oak, due to its superior strength, stability and beauty, but we often incorporate other materials such as glass and steel into our more contemporary designs. 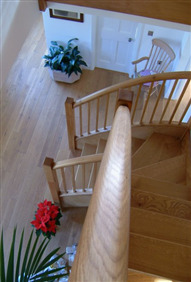 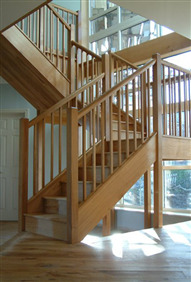 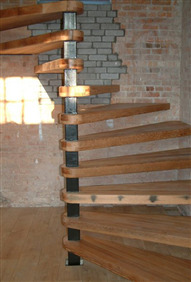 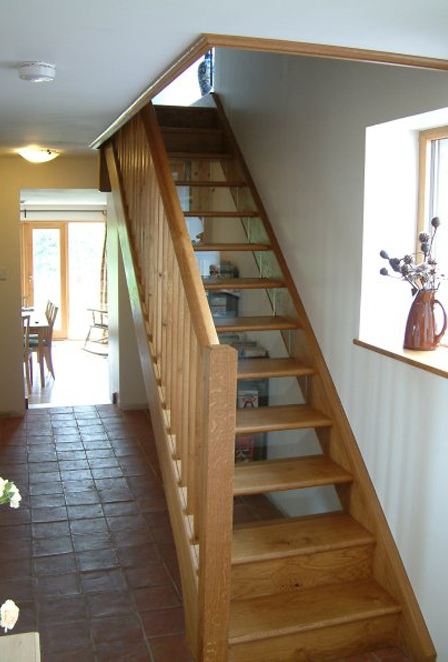 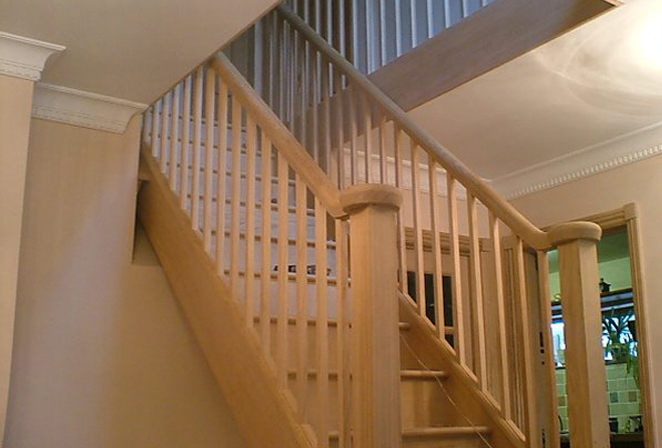 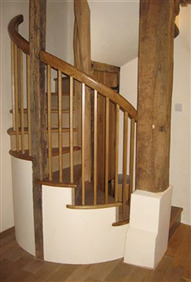 Prices for Broadleaf oak staircases start from £5,000 - £6,000 plus vat for a single flight. 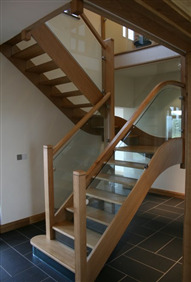 Below are some recent examples of Broadleaf staircases to give you a flavour of what is possible. 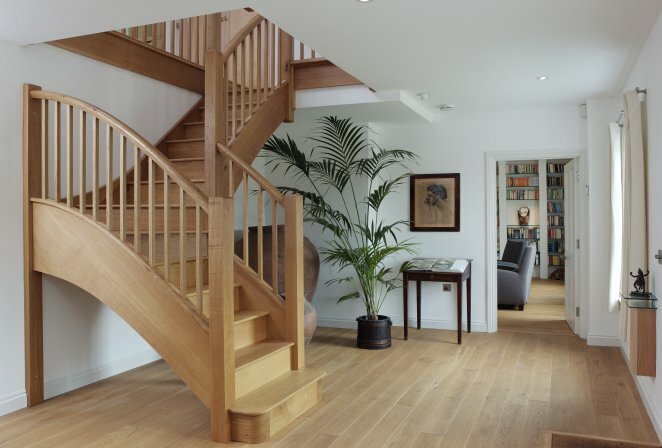 Just click on any image to bring up the gallery. 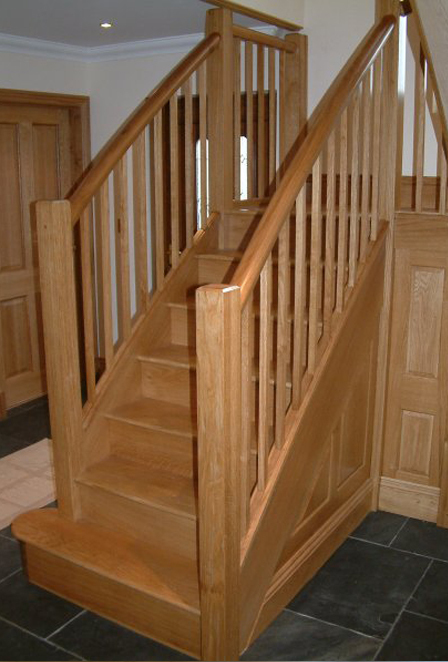 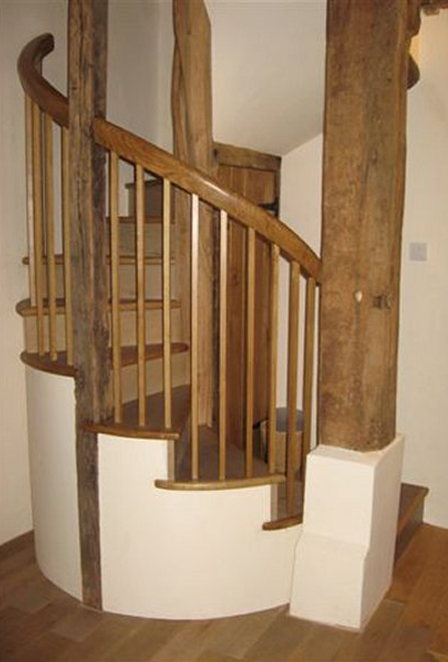 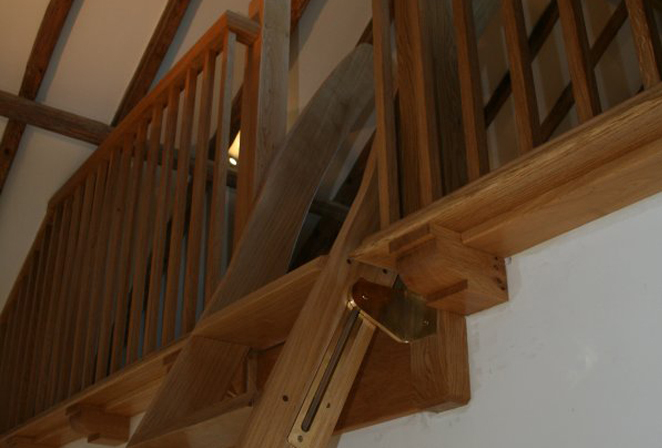 If you are looking to refurbish or repair an existing staircase we also have a complete range of solid oak treads, risers, handrail and spindles which are the perfect way to create a stunning but economical oak staircase with minimal disruption.